partypoker is an entity owned by GVC Holdings which is a well-known multinational sports betting and gaming group. They are leaders in the world of e-gaming operations and have four main products that they offer: Poker, Bingo, Sports Betting, and Casino. 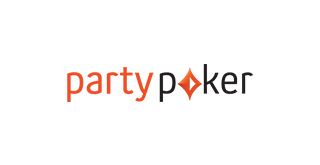 Our main focus in this review will be Party Poker which is known for their gaming products. partypoker serves under the license given to ElectraWorks Limited which is licensed and regulated by the UK Gambling Commission and has a remote gaming license. The license has a number of strict requirements, which make party poker a safe haven and preference for poker lovers. PartyPoker is also licensed by the Gibraltar Government under their gaming Act of 2005.
partypoker is one of the oldest and most famous online poker rooms in the world. As an example of their clout, the German tennis legend Boris Becker is a member of the partypoker team and you can often find him at the poker tables. All games in the casino are run by the GVC systems and these are all independently-tested to ensure that games are fair. They offer the safe online online gaming experience that YPD members look for. 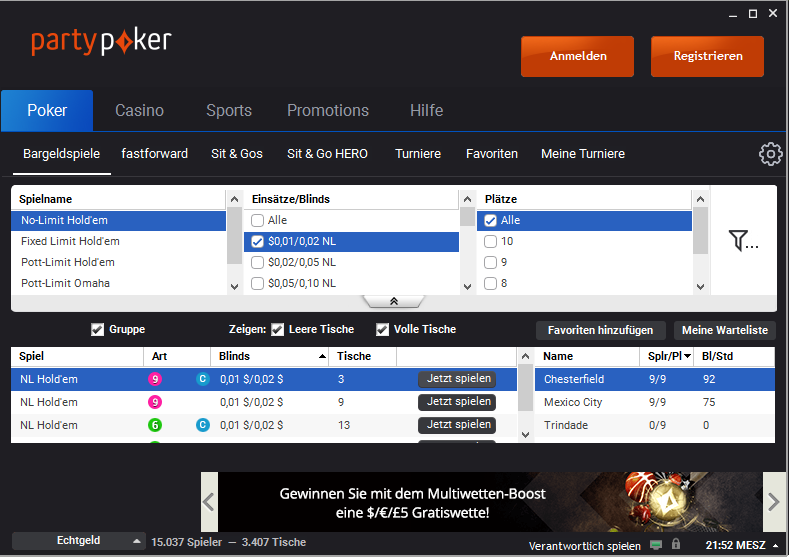 The partypoker homepage is available in 9 languages and the support team is multilingual. For all who speak English there is a 24/7 chat and telephone support available. If you do not speak English fluently, no worries, they have a multilingual support team available around the clock. Important: If you have an old existing account, let us know the username and we will check if we can tag your account, that you can enjoy our exclusive promotions and receive extra rakeback. partypoker offers their players a fantastic rakeback program. Players can receive up to 40% weekly rakeback(see the table below), which is automatically deposited every monday to the player accounts. Combined with the YourPokerDreamDream VIP Deal, player can receive up to 65% Rakeback. The partypoker Rakeback is one of the highest in the online poker industry. Important: If you have an old existing player account at partypoker. 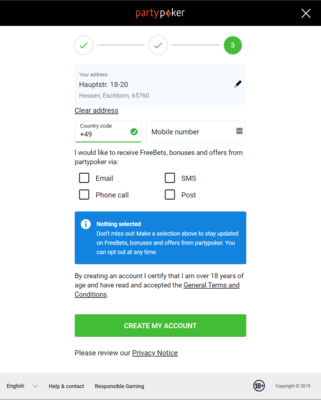 Be in touch with us as well, because in many cases we can retag your old existing account or hekp you to open a new one, that you can enjoy all our exclusive promotions and receive extra rakeback. Further information about this topic you can find HERE. There is also something very special forall real High Roller and VIPs. Since January 2019 there is the VIP Diamond Elite Club at partypoker. A player can join this club if he generates a minimum of $ 200,000 in rake/fees in one year. Up to 60% cashback, a special VIP service, tickets for big high roller events, worth several thousand $ and much more, will be given to the members of this exclusive club. Players who generate a minimum of 100,000$ in rake/fees receive the VIP Diamond Status and 50% weekly rakeback from PartyPoker. Of course, as always, we from YPD will pay you something additional. If you’re a poker lover, this is the right party for you. partypoker hosts a myriad of online poker tournaments that offer chances to win big and offer a fun and challenging environment for players. PartyPoker players love the competition, especially the thrill of tournaments that can alter their life paths. Among it’s most famous tournaments are the Spin tournaments where you can win 10.000$ within a few minutes with just 1 Buy-In. Lucky players take home half a million dollars for a buy-in of just 5$. That may sound too good to be true, but we can assure you it is real. And that is not all. All players who are ready to invest 50$ can win with a bit luck 2 Million USD! When your just getting started, partypoker offers great first-time bonuses. Every player who makes a minimum deposit 20$ instantly receives an additional 30$ in form of spin tickets. These are just a few examples of the promotions offered at Party Poker, their gaming platform is one of the best because these quality offers and many more play out in all of their games. Additional you will find a lot of satellite tournament where you have the possibility to qualify for one of the big online major tournament, or also for the partypoker Live Tour. Starting from just a few cents. At partypoker, you will find always enough traffic. it doesn’t matter which poker variant you prefer, there are always lively tables and players. Very high cash game traffic at all limits and an amazing tournament schedule will satisfy the wishes of every player. They offer No Limit Holdem, Omaha, and Seven Card Stud among other variations like for example Short Deck Holdem. A big plus is also good Sit&Go Traffic and the low fees. Players who like to play tournament poker but don’t have the time to play the big multi-table tournaments can join one of the 6 or 10 max SNGs and have their fun. When it comes to big poker tournaments, partypoker offers the cream of the crop. Party Poker and its peer PokerStars offer the best online tournaments available. There are numerous big events every day with options for every bankroll. Whether a beginner or high roller, all types of players will find a good time. Every week their are tournamentes with minimum 6 Million USD Gtd. Several times a year, Partypoker Powerfest boasts millions of guaranteed prize money and attracts thousands of players at their online tables. The Powerfest events are always an absolute highlight and guaranteed prize money of 20-30 million is not uncommon. In addition to the Powerfest, there are also occasionally small tournament series and promotions. Anyone who enjoys playing poker tournaments and wants to cash in on big winnings is at the right place at partypoker. If you need a bit of variety from Texas Holdem and want to join in the action-packed world of Omaha poker, then partypoker is the place for you. No other site offers so much PLO action. Starting with limits from 0.05 / 0.10 up to the absolute high stakes 200/400 you will find action here. In addition, there is also a great daily tournament offer for all Omaha fans. Take a look at the fantastic tournaments partypoker offers their players every day. Online gaming provided by partypoker is fair legitimate and is enjoyed by millions of adults across the globe. 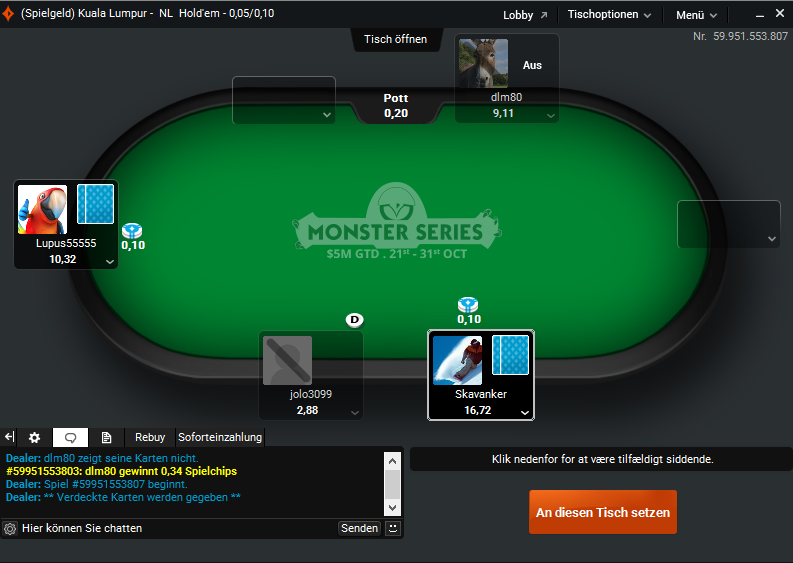 partypoker uses different software programs and algorithims to monitor the activity and playing style of all players to prevent all forms of cheating and collusion on their platform. To make sure that minors are not involved in the gambling activities, they support responsible gambling and advertise responsibly. partypoker assists individuals with problematic gambling habits in identifying their issues and helps them get counseling. 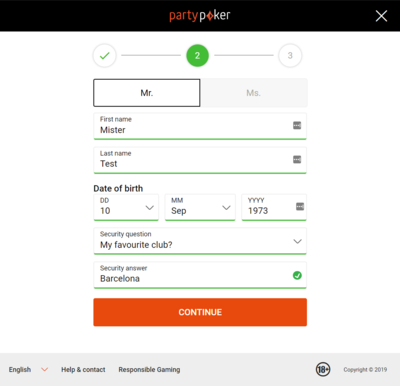 The partypoker team consists of a large number of international stars of the poker scene and many other well-known personalities who serve as brand ambassadors. Mike Sexton, Isaac Haxton, Fedor Holz, Patrick Leonard, Jason Koon, Sam Trickett, Nikita Bodyakovskiy, Joao Simao, Phillip Gruissem, Bertrand “Elky” Grospiellier, Timofey “Trueteller” Kuzentsov, Bruno Fitoussi. partypoker is also one of the industry leaders in withdrawals. All withdrawal requests are processed within 12-24 hours. Most VIP players have instant cash-outs, which means they receive their money immediately if they use Neteller or Skrill. YourPokerDream recommends using one of two e-wallets, Skrill or Neteller, because they offer the fastest way to deposit and cash out money. Of course, partypoker also has a number of other options for depositing and withdrawing money. partypoker has everything a player desires. They offer interesting and numerous promotions, the partypoker rakeback system is one of the best on the market, and there are always enough players online. In addition to different languages, partypoker offers players 24/7 support. And as one of the largest and oldest providers in the world, a valid UK license, and over 15 years of experience, they offer incomparable security. 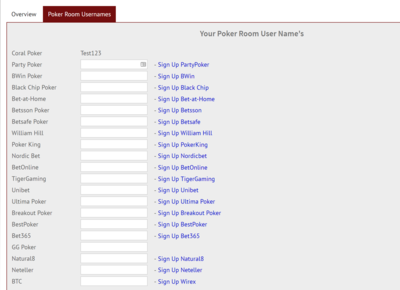 How i sign up correctly via YourPokerDream at patypoker? 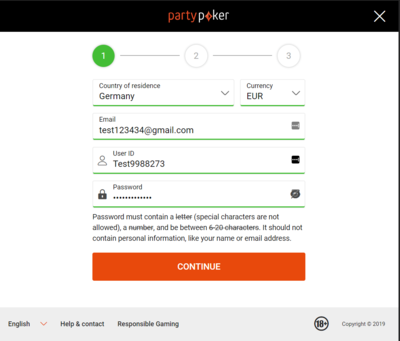 Step4: After you’ve successfully signed up for Party Poker, all you have to do is log in to your YourPokerDream account and enter the username which you have choosen at partypoker and press “save changes”. From this point on, everything will run automatically and you can use all exclusive offers from YourPokerDream in addition to the normal offers of partypoker.